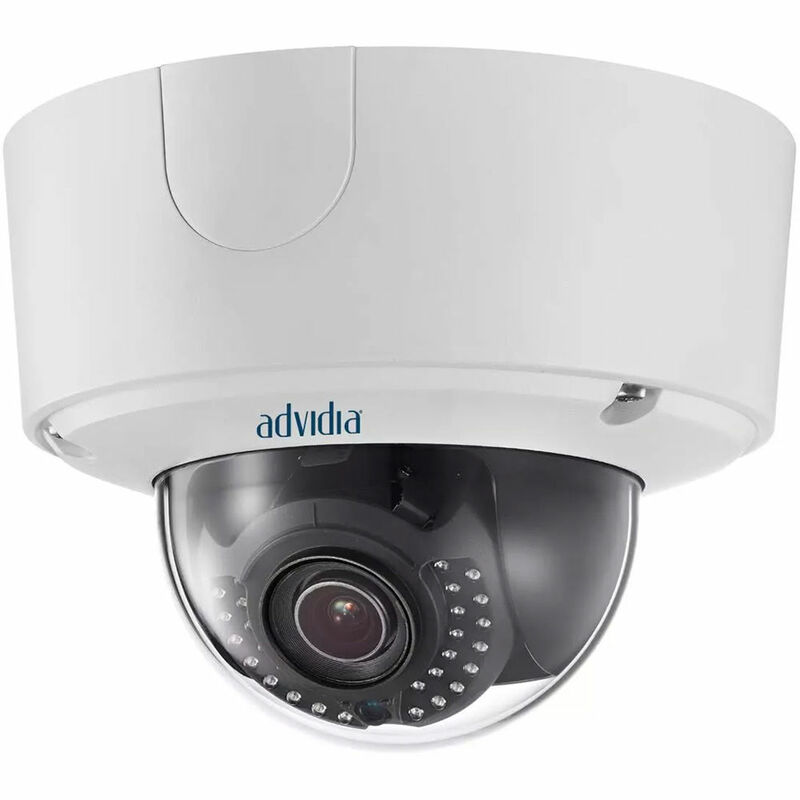 The 6MP Vandal-Resistant Outdoor Network Dome Camera from Advidia features a 1/1.8" progressive scan CMOS sensor and 2.8 to 9mm varifocal lens to capture video at a resolution of up to 3072 x 2048 at 25 fps. It supports H.264 video compression format, as well as G.711, G.726, and MP2L2 audio compression formats. It features a heater and a motorized lens. This camera is weather-resistant and vandal-resistant for outdoor use, and comes with IR emitters for night vision recording.